American teachers have to maximize their classroom time, but never seem to have time to devote to their own professional development. Would smaller classes, fewer subjects, and better collaboration result in more professional development and better classroom performance? To most American teachers, the thought of spending more time in professional development and collaboration probably seems daunting. However, recent studies have suggested that American educators spend far less time in collaborative activity than their non-American counterparts, who generally out-perform American students on achievement tests. Drastic changes in the ratio of time teachers spend in front of students, to the time spent collaborating and learning themselves, would likely lead to improved performance for all students. In fact, a report on teachers from Denver, Seattle, and Lexington (KY) illustrated that professional development is woefully inadequate at their school sites. 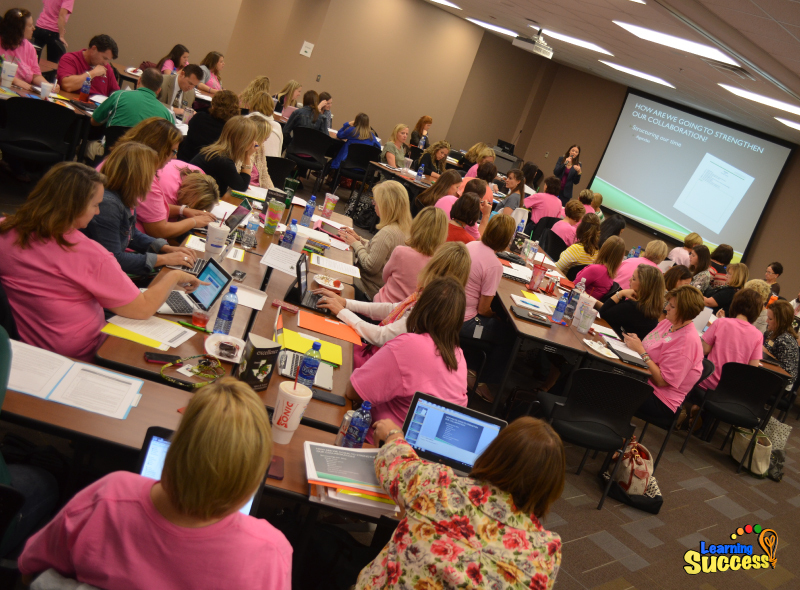 While some of their schools required biweekly meetings for professional learning communities (PLCs), the administration typically chose the content for the three days a year, which primarily focused on some school or district initiative (for example, new curriculum implementation) rather than focusing on teacher professional growth. This makes sense -- teachers in the United States have long known of a traditional disconnect between what they're expected to do versus how they're expected to learn how to do it. Teachers can attend professional development sessions of all kinds, but most will agree that "real" teacher skills develop on the job, by learning and doing. The teachers teach the students, but who teaches the teachers? With that in mind, job-imbedded professional development through teacher collaboration is becoming a more significant factor in more and more school systems worldwide. Nations like Shanghai, Singapore, and Canada significantly outperform the U.S. on the Program for International Assessment (PISA), and according to the 2014 National Center for Teaching Quality (NCTQ) out of North Carolina, other countries devote more time for teacher collaboration than in the United States. America has an inborn attitude of independence, and because of that, teachers are expected to "figure it out" and succeed with less training. But perhaps if they were expected to band together, and learn by observing and cooperating with each other, they might grow professionally by the actual real-time experience! That way, they’re dealing with people on a day to day basis, not theories. America has an inborn attitude of independence, and maybe teachers are expected to "figure it out" and succeed with less training. But if they were expected to band together and learn by observing and cooperating with each other, they would grow professionally by the actual real-time experience. Decreased teaching loads, achieved by lowering both the number of classes taught and the number of students in each class, also make it possible for these teachers to have time to engage in this professional development. Although major changes in these areas seem unlikely to occur in the U.S. any time soon, educators need to work with local school leaders to make whatever changes they can. And while many in the U.S. feel that the government should pay for more training, teachers in other countries seem to be more motivated to collaborate and are also willing to pay for their own training at times. Job-imbedded development is becoming a significant factor in school systems. Teachers report that time given to develop professionally is lacking. 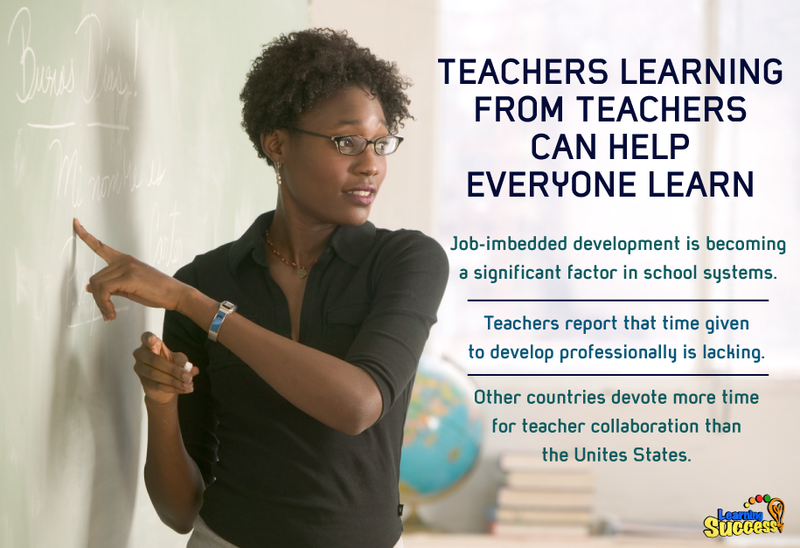 Other countries devote more time for teacher collaboration than the Unites States. Should the U.S. education system mimic those more successful systems in other countries? It would seem that the practice of more professional development is working in other education systems. Maybe teachers in the U.S. should begin to devote more time to personal development outside of their classroom. At least partially adopting this practice could improve the performance of the education system in the U.S.
Finding creative ways to teach is also imperative to your child's success. You can find out which micro-skills need strengthening and increase learning ability by taking our free assessment here!